Today, Android is the most popular mobile Operating System in the world with a very large number of users. Despite the fact that its the most popular Operating System, only a few know the facts that surrounds this popular OS. But I've decided to update you with some interesting facts you should know about the Android OS which I read on Nairaland. Here are the facts. 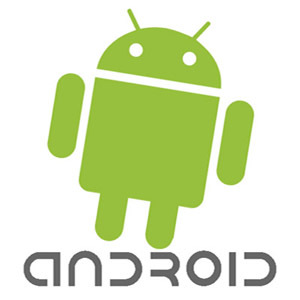 The Android operating system was developed by Android Inc. which was established in October 2003. Android Inc. which was founded by Andy Rubin, Chris White, Nick Sears and Rich Miner was later bought by Google who had been backing the company all along. The deal was struck in August 2005 at a price of $50 million. Google officially launched the operating system in November 2007. The operating system had initially been developed for cameras but Google saw a potential in the usage of the OS on smartphones which has come to pass today. The first ever smartphone to run on the Android operating system was the HTC Dream or T-Mobile G1 which was launched into the market in 2008. Google’s Vice President for Android, Sundar Pichai, announced earlier in September this year that the Android operating system has attained over a billion activations on devices ranging from smartphones to tablets. Apart from Android 1.0 and 1.1, all other Android versions have been named after sweet treats. Cupcake, Donut, HoneyComb, Ice Cream Sandwich to name a few. The first device to run a new version of Android OS is named Nexus and its being named after Google, the brain behind Android. Although, the hardware part is always designed by some of the top Smartphone manufacturer like ASUS, LG etc. With Google being a member of Open Handset Alliance (OHA), android has given users or interested party access to modify the source code of the operating system. This has allowed users and smartphone manufacturers great flexibility in adding features to the operating system. Google offers Android operating system to smartphone manufacturers without payment for its license. Despite offering the Android software free to smartphone manufacturers, Google will likely achieve its aim of becoming the mobile advertising king through android devices. Google makes its biggest revenue from advertising and this will pay off in the big way with the exodus of users from PCs to smartphones and tablets. It must be noted that Android dominates both categories. These facts are so interesting and to be sincere, only a few of us knows about these facts before. What do you think about these interesting facts ? Do you know of some other facts about Android ? Kindly share them with us. Use the comment box below and kindly share this post with your friends.